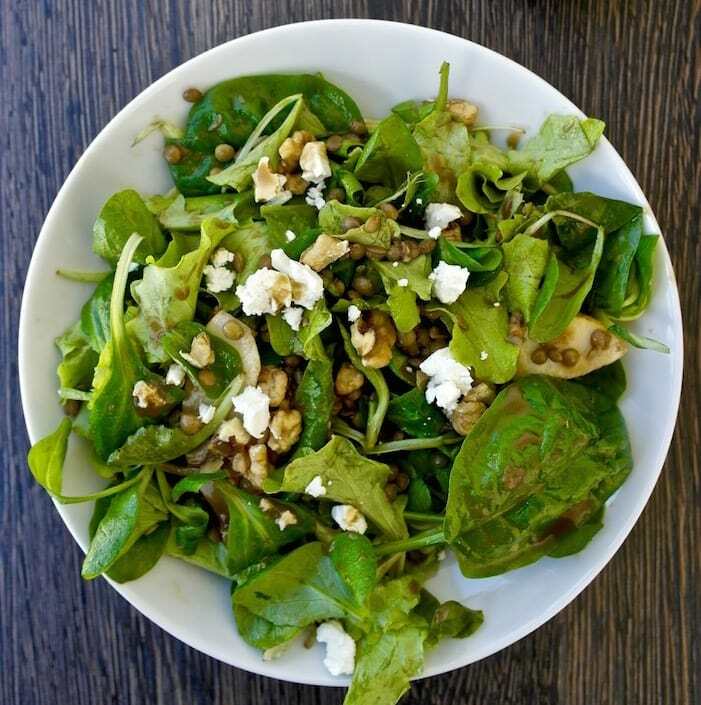 I couldn’t wait to make this lentil and greens salad recipe that I received from the annual Food and Nutrition Conference and Expo in Boston, also known as FNCE. It is organized by the Academy of Nutrition and Dietetics, the organization that represents Registered Dietitian Nutritionists. The main trends that I noticed were basically a turn toward plant based diets and products, plenty of grains, sustainable food, multitasking-healthy snacks and cooking. A large number of sessions focused on cooking skills and how teaching someone how to cook is essential to helping them eat better. I’ve mentioned this here too in my previous post with my 5 tips for easy cooking. If you would like to see more on the nutrition trends you can check out my article in the Huffington Post. 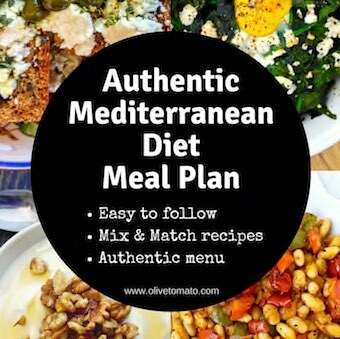 I’m obviously very happy about the plant based trend as the Mediterranean diet is known to be a plant based diet with meats consumed as a side. One of the foods that played an important role in the this plant-power trend are legumes also known as beans or pulses, and 2016 has also been declared as The International Year of Pulses by the United Nations. The organizations representing pulses had some yummy tasting recipes and this is one of them. This recipe is from a mini recipe book offered by Canadian Lentils, that I slightly modified by using a my own dressing based on olive oil instead of canola oil, walnuts instead of sunflower seeds and feta instead of blue cheese. 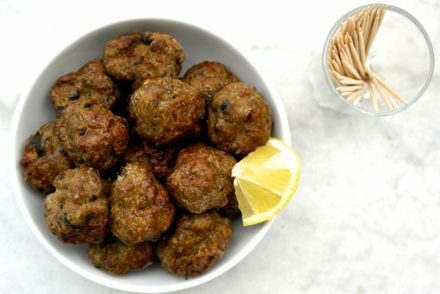 It is such a simple and delicious recipe, yet filling and full of all those nutrients we want such as protein, fiber, antioxidants, good fats and good carbs. 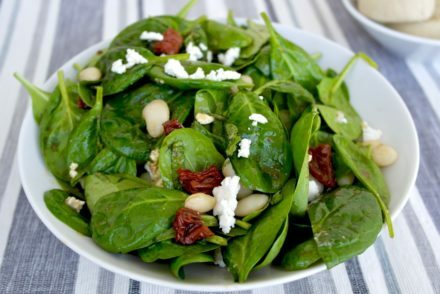 In addition, you are getting cholesterol lowering soluble fiber from the pears, as well as omega-3 fatty acids from the walnuts, making not only a delicious salad/meal but heart-healthy as well. 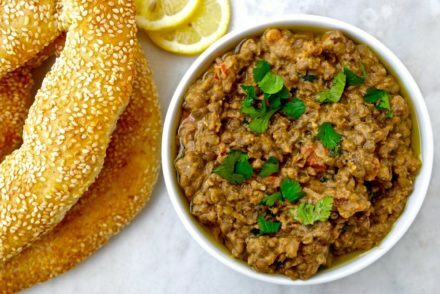 We eat lentils every week mainly as the Greek stew and the kids love it, and when I made this recipe my little one (who can be picky) ate 3 servings! That makes me very happy. Make the dressing by adding all the ingredients in a bowl and stirring quickly with a fork. Add salt and pepper as needed. In a medium bowl, mix the lentils with the salad dressing. Let it sit for a few minutes and strain the lentils and save the dressing. In another bowl place the greens and add the lentils and the dressing and mix. Add the pears and blend. Sprinkle with walnuts and feta.